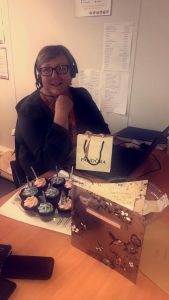 Happy belated birthday to Sarah Walker, Administrator and Laura McLaughlin, Care Quality Supervisor, from our Castle Donington branch. 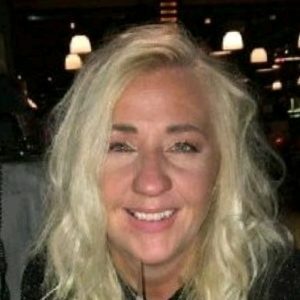 Happy Birthday to Bolton Care Coordinator, Lynn Pass (pictured below). We hope you had a great birthday. Happy birthday to Business Transformation Manager, Phil Harrison! 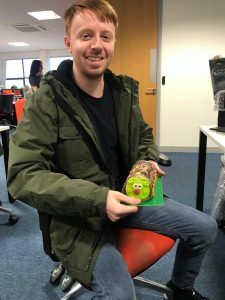 Phil (pictured below) celebrates his 30th birthday on the 16th January, have a great day! 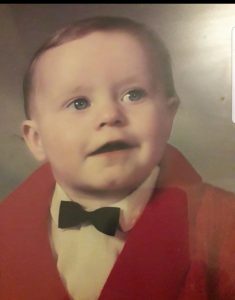 Happy birthday to Business Transformation Support Partner, Craig Traynor (pictured below). We hope you have a great day on Sunday! A warm welcome to Regional HR Business Partner – Midlands & South, Jo Collingwood and Regional Manager – Central, Jamie Rowland (both pictured below). Good luck in your new roles! 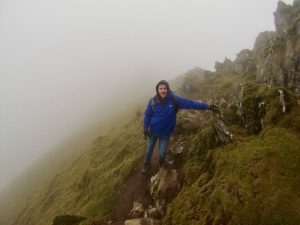 Well done Phil Harrison, our Business Transformation Manager – North (pictured below), who completed his challenge and successfully climbed Snowdon to raise money for Leicester Hospitals Charity on Saturday. If you would like to donate, you can do this via Phil’s just giving page: www.justgiving.com/fundraising/phillip-harrison4. I was a healthy 27 year-old enjoying life and then suddenly, out of nowhere, I was taken ill and rushed into hospital. I was diagnosed with Pneumonia in both lungs and was put into a coma. My life turned upside down in an instance. My condition was deteriorating quickly and so the specialist ECMO team from Leicester travelled over 60 miles to Rotherham to perform ECMO to give my lungs a rest. The team took me back to Leicester to be given 24-hour care by 3 nurses. Unfortunately, my health continued to deteriorate rapidly and I was put on dialysis. I deteriorated further, and the final resort was to perform another ECMO to give my heart a rest. Luckily for me I survived the whole thing but without the lifesaving treatment, their expertise and care from Leicester hospital I wouldn’t be here today. The hospital staff were truly amazing, and I am forever grateful for the care I received. 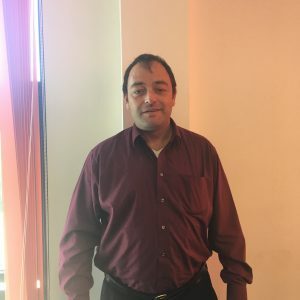 Not everyone is lucky to survive the condition and so I am raising money for the Leicester Hospitals Charity, by climbing Snowdon. With the money raised the hospital can purchase new medical equipment, make the hospital environments better and empower their clinical staff who saved my life. Well done Amanda! want to hear from you! 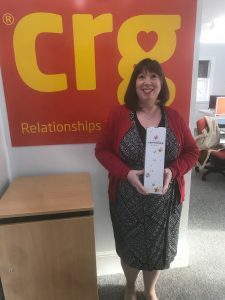 Well done to Amanda Bradley, Recruitment Consultant at CRG Defence who is the winner of our Christmas quiz! Amanda won a bottle of champagne – enjoy! Take the latest quiz for your chance to win! The CRG Healthcare Staffing Prescot branch would like to welcome Gareth Price, Bookings Co-ordinator to the team. 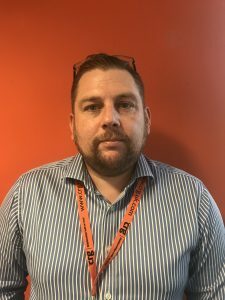 Dedicated enough to transfer from the Cardiff branch that has closed recently, Gareth has moved to the North west full-time. Gareth will run the all Wales contracts and assist with the Cheshire/Merseyside contract for General Nursing. Welcome to the team Gareth!